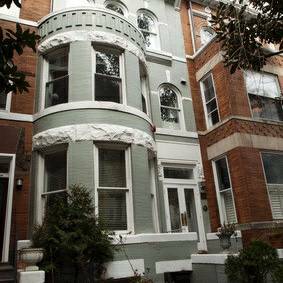 Beautiful 2 bedroom/2 full bath condo located in a turn-of-the-century rowhouse in the heart of Kalorama, steps from Adams Morgan, Woodley Park, and Dupont Circle. The condo is in beautiful condition and has hardwood floors throughout and central heating and air conditioning. 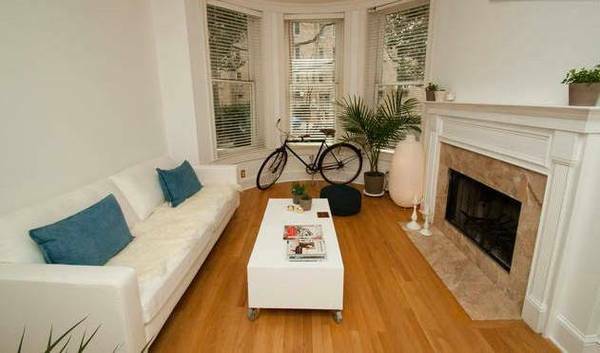 The light-filled living room has a working fireplace and built-in bookshelf. The kitchen has granite countertops and a pass-through to the separate dining room. The master bedroom is generously-sized with a large closet and a private balcony. The master bathroom has a full shower and a spa tub. Washer and dryer are located inside the unit and the unit is wired for Comcast cable. Street parking is available. The condo is located in the Oyster-Adams school district. No smokers and no pets, please.